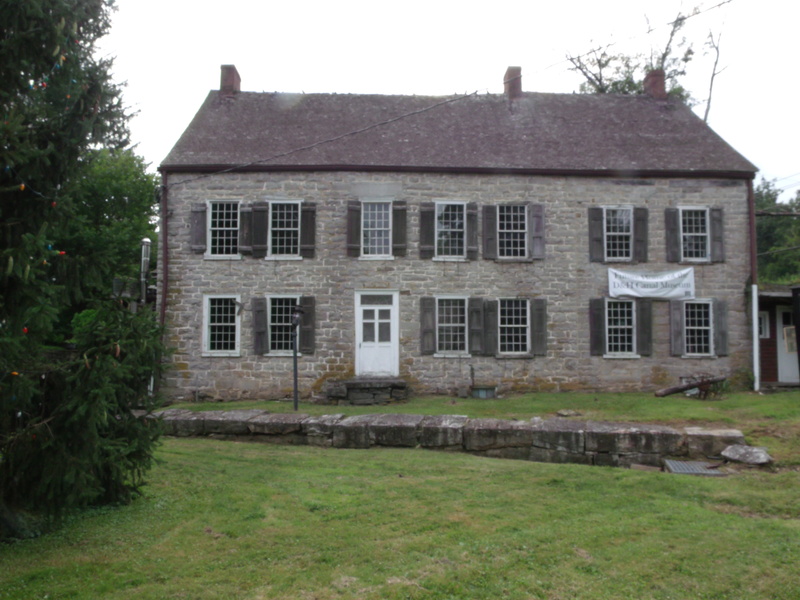 This past August, I was part of a team that was involved in an initial paranormal investigation into the 1797 DePuy Canal House in High Falls, New York. The historic house has just been purchased by the D&H Canal Society and will be the future headquarters of the new museum. This imposing and impressive structure was built in 1797 by Simeon DePuy where it housed a tavern. In 1850 it was purchased by the D & H Canal where it housed offices, a store and a tavern. After the canal’s closure it became a private home, apartments and later a restaurant. Our team included Jimmy, our techie guy, Rachel, our sense medium, and Kelly and I who are general investigators. I also sometimes act as a sense medium but Rachel is much more sensitive than I am so I preferred to work alongside her, trying to document her images and impressions. To our big disappointment, there was simply too much ambient noise to register any reliable EVP (electronic voice phenomenon.) The house is located just a few steps from a major road. Jimmy used and electricity meter while we tried to record EVP. Like I said, we were not able to get any reliable EVP but Jimmy was very successful in having the meter light up while stationary. This is suggestive of paranormal activity. Of course, we were able to take some good orb activity. Rachel sensed the spirit of a man in the attic and in the entry way to the attic. I also sensed the spirit of an African American woman in the basement. Since it was confirmed there were slaves kept in the house, and traditionally Dutch homes housed their slaves in the basement, this made sense. To conclude, in this initial investigation, it warrants that future investigations may prove more successful. I have always found that one should visit a site a few times to get a better feel for the activity present. We wish the Canal Museum much success in their new home. We hope their resident spirits will make good company. If you have questions or would like to invite our team in for an investigation, please feel free to contact me.